“Which homes for sale near Peachland Avenue Elementary School, Newhall, CA would mean my children could attend this excellent school?” Please scroll down for school information and Peachland Avenue Elementary School website. This is one of the most important of many questions parents ask when beginning their search for homes for sale near Peachland Avenue Elementary School, Newhall, CA. It is both disappointing, and a waste of precious time if you find homes for sale near Peachland Avenue Elementary School that you love, and believe that your child can attend, only to find out it is not within the schools attendance boundaries. Look without wasting your time. All homes for sale near Peachland Avenue Elementary School. 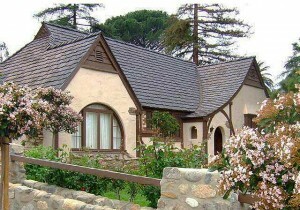 Page is constantly updated and includes homes in areas of Newhall, CA. Homes for sale near Peachland Avenue Elementary School are found in the lovely older neighborhoods of Newhall CA. Single family residences, executive homes, homes in beautiful oak canyons, and custom homes on mature tree lined streets can be found for sale including town homes and condos in these lovely mature neighborhoods. There are good reasons to look for homes for sale near Peachland Avenue Elementary School which is a California Distinguished School. See school website. Peachland Elementary parents and families play an essential role in achieving our mission. We hope to continue building our partnership with you as we strive to achieve this mission for every student at Peachland. We believe that all students, while striving to be of good charater, will achieve high levels of learning within the diverse, collaborative at Peachland. To view your selection of homes for sale near Peachland Avenue Elementary School, Newhall, CA today, contact Pia Soper, your local real estate agent in Newhall, CA today! Text or call Pia Soper at 661 645 5556 Click here to learn more about Newhall CA.